Choosing a camera is a very difficult mission, I can see that at those who are on their way to buy one. The difficulty is due to several reasons such as the diversity of products on the market, marketing techniques, the advice of friends who have a specific camera, the multitude of camera features and other things. SLR-Likes are sized between compact and DSLR cameras an their price is between $300-$600 USD. D-SLR’s are mostly large cameras, their price starts from around $500 USD and can go up to $3000 USD or even more, and this without counting the lenses. Each of the three categories of cameras have advantages and disadvantages depending on needs. It is almost impossible to say that you have a camera that can cover all requirements. Professional photographers have 2-3 cameras and a variety of lenses, flashes and other accessories. Some argue that the camera that you possess is the best, which is a little exaggerated, because you can’t shoot with a compact, an animal that moves on, seen from your cabin window. – Frames per second: the more frames per second your camera has, the more frames you can do, that means you can shoot in a short time, several images without losing that essential moment. – ISO: represents the sensor’s sensitivity to light. If the value of the camera has a higher ISO, this allows you to take bright pictures in dark places. The downside would be very high image noise in some cases, depending of the quality of the camera sensor and lens (colored dots covering the details). In bright light, the smallest ISO settings can be used, this way will result in photos with the highest detail. – Image stabilizer: as the name says, it will stabilize the image, and this will reduce the blur created by moving your hand (especially in low light conditions). Also, the image stabilizers are either digital or mechanical, obviously the mechanical one is way better. – Lens aperture: is a mechanism, generally of circular shape and having iris blades, which allows light to enter the device, and impress the sensor. It works exactly like the eye pupil. If your device camera aperture is small (F1.8, F2.0, F2.8) this will allow you to make great photos in low light conditions, and you can make those shots with a shallow depth of field, with the main subject in clear while having a blur background. – Lens zoom: can be digital or optical . The optical zoom brings better quality. Zoom will allow you to shoot subjects in the distance. About mega-pixels. You need to know that they are not as important as the adverts says, if their number is at least 7 then in most cases it will be fine. For example, if your camera has 5 mega-pixels, this is enough to print on A4 photo paper (provided that the image does not contain excessive noise) or to view the picture in full screen on the computer display. You need lots of mega-pixels if you’re going to print large posters. Do not be guided by the number of mega-pixels when making your decision, focus on the advanced photo features listed above. Which do you prefer? To have a lot of huge images which occupy unnecessary space on your hard drive or continuous shooting that allows you to capture that important moments? Most of the time price is the criterion by which people purchase a camera. The price says something about the quality of the camera and hence the photos. As the camera is more expensive, the pictures will have more details and dynamic range, but until a point. On the other hand, if you possess an expensive professional camera that does not identify you as a photographer, nor it will make your pictures look better.. In recent years technology has advanced at a great speed, as a result, this allowed the introduction of quality small cameras into phones. For some time I have seen very successful pictures taken with a smartphone. If you want to go in that direction, you can choose a modern phone camera instead of a compact camera. The Samsung Galaxy S3, iPhone 5 or Lenovo k900 are some right choices at the moment. The advantages: (besides the fact that you will use the phone) takes up very little room in your pocket or purse when you go somewhere, and more than that, you’ll always have the camera with you! If you still prefer a compact camera, my advice is to choose between a Canon or a Nikon. It’s just a personal opinion, of course many can find their ideal device between brands like Olympus, Sony, Panasonic, Fujitsu, etc, which are also great cameras too. For those who want a SLR-like camera they can turn to a mirror-less camera: they are almost as small as compacts but instead provides greater freedom of settings and functions. 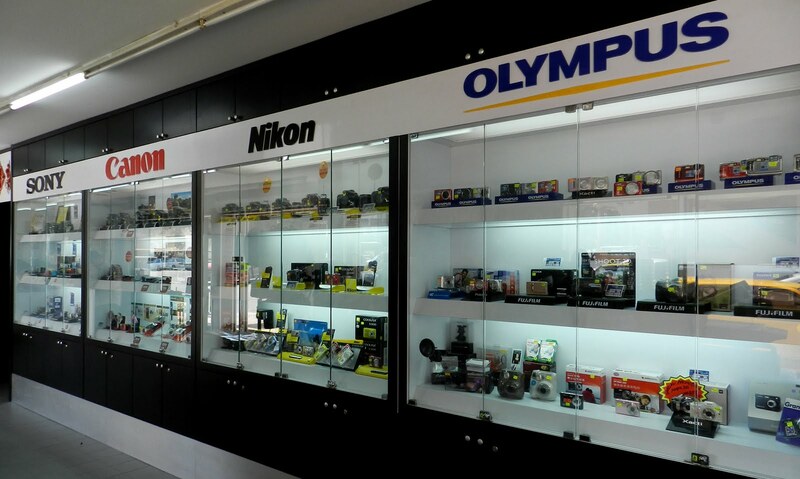 You can choose between the Nikon 1 V1 , Nikon 1 V2, Nikon 1 J2 , Sony NEX-C3, etc. I think such a device is suitable for an amateur, at least at the beginning. D-SLR cameras can be divided into three categories: low-end , entry-level and professional. At the low-end or entry-level, the Nikon D3100 or the D7100 can make of a good choice. Professionals are using professional D-SLR’s but that’s because they’re also making money out of their photos. These cameras are of the highest quality, both in terms of body construction and image quality, they are water and dust proof sealed, shock proof, GPS function and what not. Last but not least, you have to think what you were going to use the camera for, and you have to choose according to your own requirements. If you are fond of sports or theatre scenes and want to catch moments in these fields, then surely you will want a device with a big zoom lens, that can capture photos in low light quality, and of, at least, acceptable quality. If you are passionate about travel and want to capture mostly static nature scenes, and usually during daylight, most cameras will have no problems with that, but if you want to capture an wider open field scene, then you must opt for a wide lens for your camera.